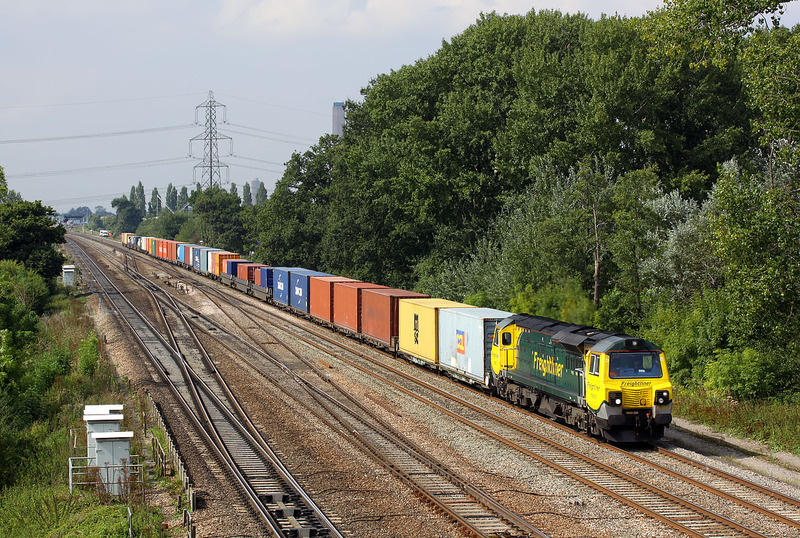 70013 passes South Moreton (Didcot East) on 3 September 2014 with the 4O51 10:58 Wentloog to Southampton freightliner. This view is most interesting for what isn't there. Compare this picture of 66504 on the equivalent train, four years earlier. Didcot Power Station's cooling towers, which formerly stood behind the pylon have been demolished.